Because gluten-free diets are a modern fad, many people may half-heartedly follow a “gluten-free” diet. At the same time, there are several types of people who definitely need to avoid gluten because of genetic, medical, or lifestyle conditions. But if they aren’t avoiding gluten in disguise, they aren’t following the diet. Even trace amounts of gluten can cause bodily inflammation and irritation. No gluten-free diet is complete unless a person makes a substantial effort to learn about and avoid hidden sources of gluten. Do the many methods of going gluten-free have your head spinning? It doesn’t have to be this way! 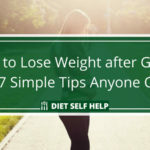 This article details the most popular gluten-free diets (and eating plans that encourage you to eat as little gluten as possible) so you can make fully-informed decisions about your gluten intake. What does Going Gluten-Free Mean? Gluten can come in handy for food manufacturers because it helps things stick together. So it is often disguised in many other foods, such as salad dressings, sausage, and soy sauce, just to name a few. The Celiac Support Association has a helpful article on how to identify gluten in disguise on labels. Perhaps the most popular and widely-recognized gluten-free diet is the Paleolithic Diet (paleo for short). The paleo diet was created with the idea that eating what our early ancestors (think: cave men) ate leads to a decreased global incidence and personal risk of chronic disease. After all, do you think many cavemen had arthritis and hypertension? Some studies have supported the idea that the paleo diet may improve overall well-being. But there is still quite a bit of controversy surrounding the paleo diet. Some people claim that our early ancestors did not eat anything resembling the paleo diet. 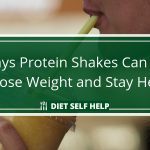 Others argue that there is too much of an emphasis placed on protein and not enough on fat and carbs. This can lead to “rabbit starvation”—malaise caused by acute malnutrition (“protein poisoning”). After all, man cannot live on rabbits alone. Followers of the paleo diet are advised to eat whole foods as they would naturally be found in nature. These foods include high quality meats (and no, red meat is not off limits, in fact it is preferred—some even eat it raw). But some paleo practitioners may place too much of an emphasis on animal protein, practically ignoring plant sources of protein. Other foods allowed on the paleo diet include: fish, eggs, produce, nuts, seeds, spices, herbs, and healthy fats and oils. Foods not allowed include: all processed foods, dairy, artificial sweeteners, trans fat, dairy, and grains. So here we get to the gluten-free component of the paleo diet. The idea is that humans have been growing and eating grain for only about 10,000 years. While this may seem like a long time, it is a blip on the radar of human history. Promoters of the paleo diet say that our bodies have not yet evolved to digest grains, so they are wreaking havoc on our health. 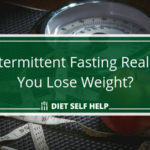 Want to find out if this diet is right for you? 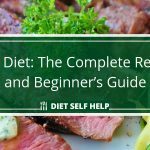 Be sure to check out our comprehensive paleo diet review and beginner’s guide. Cardiologist William Davis wrote the best-selling diet book Wheat Belly, and from this book emerged yet another gluten-free diet. After discovering a picture of himself 30 pounds lighter on a family vacation, Dr. Davis became motivated to discover the root of his weight gain. He noticed that he felt sluggish after consuming gluten-containing grains. Not to mention that he had high cholesterol and blood sugar, as did many of his patients. Clearly there was a problem. Davis began to substitute foods low on the glycemic index for wheat. After three months, he saw improvements in his lab work, his energy, and his digestion. Like the paleo diet, the Wheat Belly diet does not allow gluten-free “replacements,” like cookies, because these are often loaded with preservatives and artificial sweeteners. If health is the goal, Dr. Davis believes it is not enough to simply go gluten-free. Dr. Davis also cautions against foods with high sugar, even some fruits (like pineapple and mango). Foods allowed on the Wheat Belly diet include all vegetables, low sugar fruit, nuts, plant-based oils, high quality meat and eggs, seeds, and full-fat cheese. Unlike the paleo diet, the Wheat Belly diet allows (and promotes) full-fat dairy. Want to find out if this diet is right for you? Be sure to check out our comprehensive Wheat Belly diet review and beginner’s guide. Like the Wheat Belly Diet, the Grain Brain diet was created by a doctor. Neurologist David Perlmutter believes that what we eat—especially gluten—can cause neurological dysfunction later in life (or in the case of early onset Alzheimer’s disease, early in life). Touting scientific evidence that supports the connection between the digestive system and the brain (the gut-brain axis), Perlmutter outlines a gluten-free diet to facilitate mind-body health. Dr. Perlmutter actually considers gluten to be a modern poison because it has been genetically modified over the years. Not only that, but Dr. Perlmutter believes that high-carb, low-fat diets (as were popular in the 1990s and still today) promote inflammation and weight gain, which lead to a myriad of diseases—even brain disease. The Grain Brain Diet is unique in that it is a grain-free, low carb diet, not simply a gluten-free diet. Even gluten-free oatmeal is banned! Perlmutter firmly believes in the healing power of plants, so a high proportion of daily calories should come from plants. For instance, Perlmutter promotes coconut oil for its Alzheimer’s prevention powers. Unlike other sources of fat, coconut oil has a short chain chemical structure, which allows it to be easily absorbed by the body and used as an immediate source of energy. 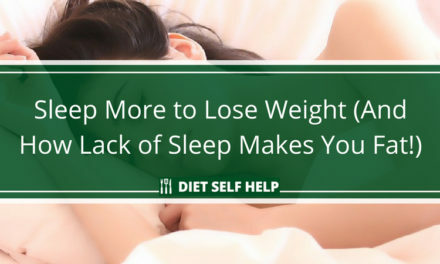 Therefore, it is not usually stored as fat and is actually linked to weight loss. Its chemical structure even allows it to cross the blood-brain barrier (BBB), so it can shield the brain from degeneration and disease. The Grain Brain Diet is unique because it promotes eating high amounts of healthy fat on a daily basis. Like the Wheat Belly diet, it calls for reduced sugar intake (including minimizing the consumption of certain fruits) and an avoidance of processed foods. It is a low carbohydrate, high fat, and moderate protein diet. Want to find out if this diet is right for you? Be sure to check out our comprehensive Grain Brain diet review and beginner’s guide. The Whole30 Diet features many of the same components as the paleo diet, but it is even more restrictive. Whole30 is considered by many to be a stricter version of paleo because it doesn’t allow any added sugar. Paleo rules out refined sugar, but not added sugar (like honey or agave). Whole30 also discourages the imitation of bake goods (those paleo pumpkin pancakes with almond and coconut flour are off limits). Perhaps because it is so strict, Whole30 is only meant to be followed for 30 days. For these 30 days, it is designed to cleanse and reset the body. After 30 days, some foods may be added, in accordance with your lifestyle (most people transition to a long-term, less-restrictive paleo diet), but the general focus on consuming whole foods should remain the same. Want to find out if this diet is right for you? Be sure to check out our comprehensive Whole30 diet review and beginner’s guide. There is not one fertility diet; there are many. But they all have the same goal: to support the body’s reproductive ability with nutrition. Many people who have gluten intolerances, allergies, sensitivities, or celiac have difficulty conceiving a child. Most likely, this is due to increased inflammation in the reproductive organs of women or a decreased sperm count for men. Like the previously mentioned diets, fertility diets promote the consumption of nutrient-dense, whole, and organic foods. Fertility diets caution against fillers, preservatives, artificial flavors, and refined sugar. Soy should also be avoided because it is inflammatory. 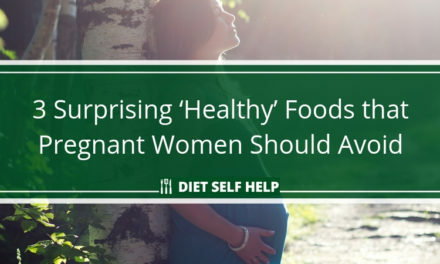 In addition, fertility diets tend to avoid fat-free foods, or foods that have been stripped of their natural fat content. This is because naturally-occurring fats are crucial for bodily processes like digestion and reproduction. While not all fertility diets are gluten-free, many people choose to eliminate gluten when they are trying to conceive (and maybe even during pregnancy). Though fully eliminating gluten from the diet can be difficult, people who want to conceive a child may find gluten-free living to be worthwhile and rewarding. While this diet has a silly name, it is premised on serious research. FODMAP stands for Fermentable Oligo- Di- and Monosaccharides and Polyols. These are fancy terms to refer to a group of short-chain carbohydrates that can be particularly irritating for some people depending on genetics and environmental factors. People on this diet try to avoid foods high in FODMAPS, including: wheat, garlic onions, baked beans, beets, cauliflower, sauerkraut, taro, apples, apricots, watermelon, mango, sausage, processed meat, beer, coconut water, soy milk, sports drinks, some teas, dairy, and falafel. These seemingly random foods are all united by their high FODMAP content (and thus, undesirability). Low FODMAP (and highly recommended ) foods include: green beans, lettuce, peas, pumpkin, cabbage, squash, cucumbers, seaweed, zucchini, bananas, blueberries, kiwis, raspberries, strawberries, beef, chicken, lamb, pork, turkey, fish, wheat-free grains, and coffee. An entire list of low and high FODMAP foods can be found here. The Dukan diet seeks to prevent the weight gain associated with the “after phase” of other diets. 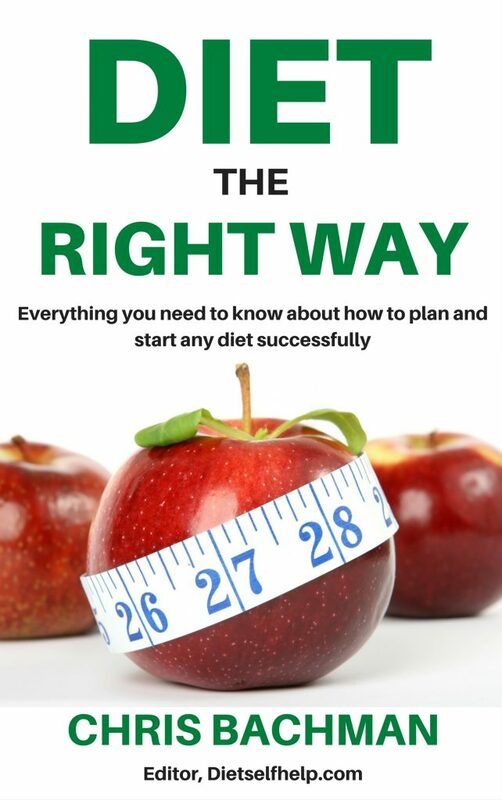 By adhering to a four phase plan, followers of the Dukan diet learn to manage and stabilize weight. This high protein, low fat, and low carb diet severely restricts gluten. The phases are: Attack (to jump start weight loss), Cruise (to reach your true weight), Consolidation (to prevent weight gain), and Stabilization (to maintain healthy eating habits for years to come). While the first three phases are time consuming and somewhat demanding, the fourth phase only requires people to follow three non-negotiable rules: eat 3 Tablespoons of oat bran per day, walk for 20 minutes, and eat a restrictive diet reminiscent of the first 2 phases every Thursday. There are 100 foods allowed in the restrictive phases, including: lean meat, poultry, fish, asparagus, cucumber, cauliflower, celery, lettuce, squash, tomatoes, olive oil, and goji berries. Want to find out if this diet is right for you? 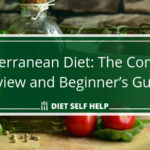 Be sure to check out our comprehensive Dukan diet review and beginner’s guide. The Specific Carbohydrate Diet (SCD) is a very restrictive diet that limits most carbs and eliminates all grains, similar to the Grain Brain diet. Gluten is not allowed on SCD. Dr. Sidney Haas created SCD to treat her 5-year-old daughter who had been diagnosed with Ulcerative Colitis. The only carbs that are allowed on the SCD are monosaccharides that have a single molecule chemical structure, and can therefore be easily digested and absorbed. By avoiding other carbs, followers of the diet attempt to starve out their unhealthy intestinal bacteria. Eating nutrient-dense foods then helps to recolonize the gut with good bacteria and repair the intestinal lining. 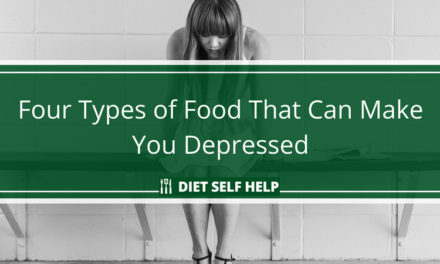 Foods allowed on the diet include: fresh (not canned) vegetables, most legumes, unprocessed meats and fish, most cheeses, homemade yogurt, and plant-based oils. Foods not allowed on the diet include: most sugars, canned vegetables, all grains, candy, and processed meats. The Gut and Psychology Syndrome Diet (GAPS), promulgated by Dr. Natasha Campbell-McBride, is based on the idea that the gut and brain interact (similar to Grain Brain). As a mother of a child with learning disabilities, Dr. Campbell-McBride wanted to find a way to minimize her child’s neurological symptoms through diet. Because gluten can irritate and inflame the digestive tract, it can have psychological ramifications. Therefore, the GAPS diet is gluten-free. Premised on the SCD, GAPS can be adjusted to fit individual needs of patients who are suffering from psychological, neurological, and intestinal disorders. The GAPS diet eliminates foods like gluten that are difficult to digest and damaging to intestinal bacteria. In addition, it recommends nutrient-dense foods that help to heal the intestinal lining. Foods allowed on the GAPS diet include: most vegetables, wild-caught fish, sprouted nuts and nut butters, plant-based oils, raw and grass-fed dairy, high quality meat, spices, herbs, and limited fruit. Processed grains, manufactured foods, and added sugars are not a part of the GAPS equation. The Body Ecology Diet (BED) is a holistic diet that seeks to restore healthy body ecology and reset mental and physical health. 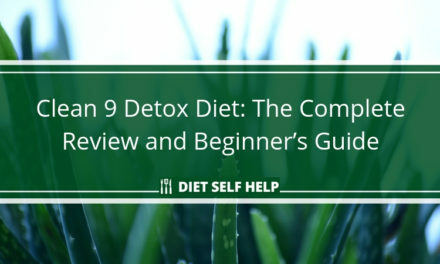 By doing so, followers of this diet will reap the rewards of energy restoration, digestion correction, toxin cleansing, and infection conquering. The Body Ecology Diet rests on the premise that the digestive system is linked to the immune, endocrine, circulatory, and nervous system. These systems are connected by beneficial bacteria. By eating nutritious, easily-digestible foods, people can restore a healthy bacterial balance. Basically, if you follow this diet, you will eat not for yourself, but for your bacteria! Fermented vegetables, which contain species of beneficial bacteria, are a staple of BED. Fiber is also an important component of BED because it feeds the good bacteria. Foods not allowed on BED include: coffee, energy drinks, processed grains, and processed meats. Written by Orange is the New Black actress Laura Prepon and celebrity nutritionist Elizabeth Troy, The Stash Plan is a new gluten-free diet and lifestyle plan that is sweeping the nation. 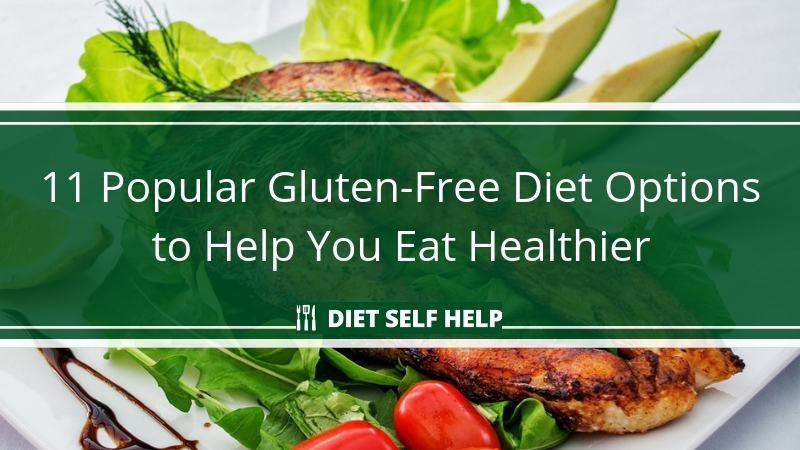 With the belief that going gluten-free doesn’t have to be time consuming and expensive, Troy and Prepon give simple, actionable tips to improve diet and lifestyle. Both Troy and Prepon have used the principles of the Stash Plan to overcome their own health issues. They firmly believe in the healing power of bone broth; gluten-free, homemade dishes; and targeted stretching exercises. The book’s title comes from the idea that homemade dishes can be made once or twice a week and then “stashed” away for quick and easy meals throughout the week. You create your breakfast, lunch, and dinner stash by combining different main and side dishes throughout the week so that you achieve variety in your diet. The featured recipes call for a limited number of ingredients, because Prepon and Troy believe in enjoying the natural flavors of whole food. Therefore, the Stash Plan makes gluten-free, homemade cooking doable for a busy professional.